Hi, I'm Grace from Sense and Simplicity. 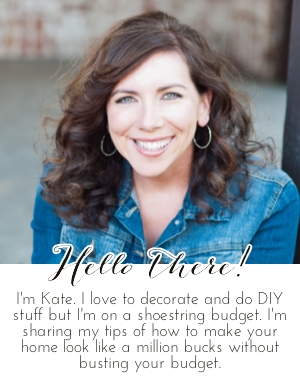 I'm a Speech-Language Pathologist by day and a design-loving, crafting, baking, picture-taking blogger by night. 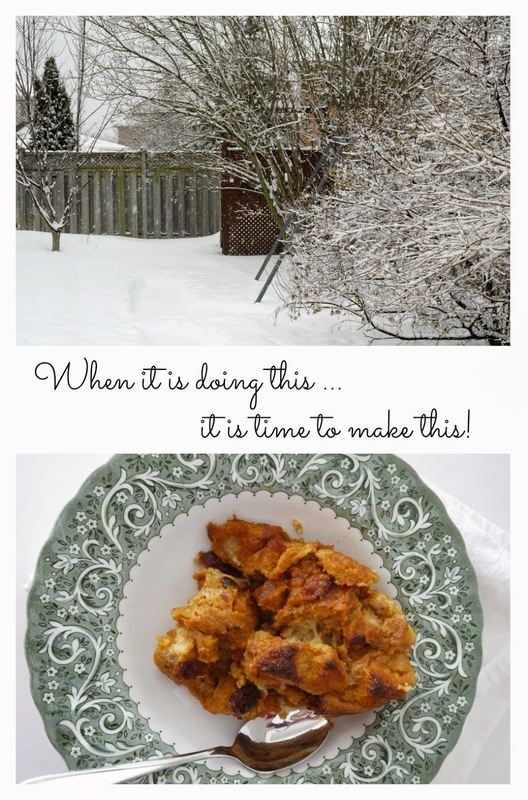 Here's one of our family's tried-and-true recipes that I hope you enjoy as much as we do. Snowy weekend? Check! Freezer full of leftover bread and buns? Check! Craving comfort food? Check! 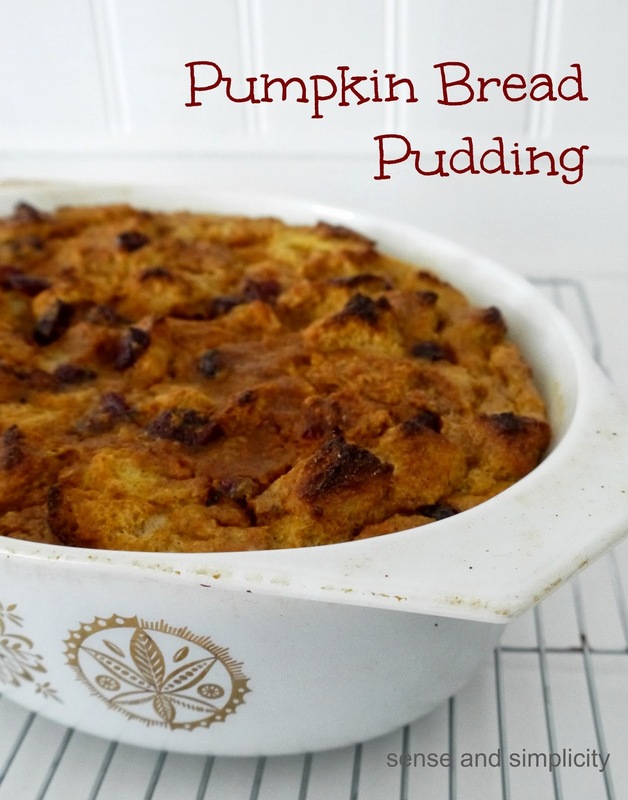 Yep, that was me recently so I decided to make some Pumpkin Bread Pudding. 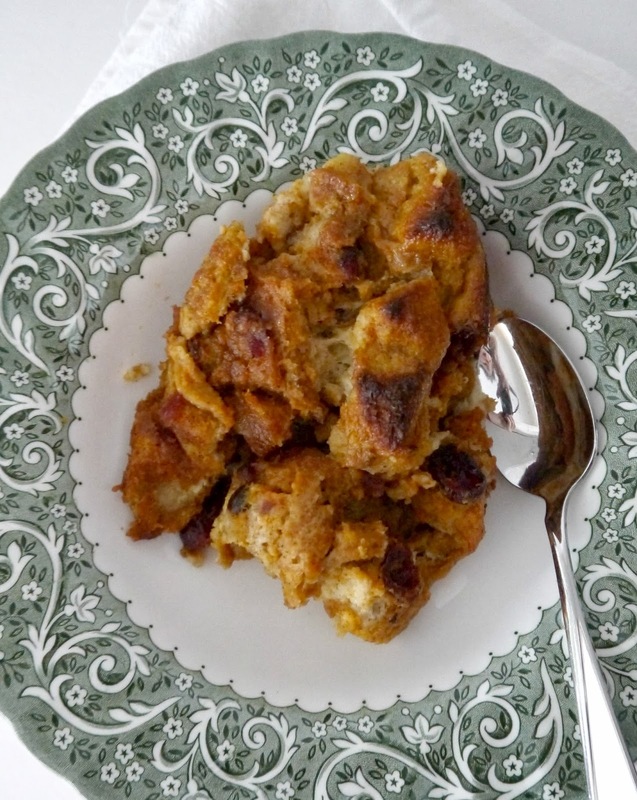 I love this bread pudding recipe. I have tweaked and perfected it by reducing the sugar, eliminating the butter, and using skim milk instead of cream to make it healthier than the original. I have made it with raisins or dried cranberries and they both are great. I use any kind of bread/bun/crust that is in my freezer and needing to be eaten. You should see how nice and neat my freezer looks now. Just kidding - it's still a mess. But I'm not kidding about how great this bread pudding is! 1. In a large bowl, cover the bread and cranberries/raisins with the milk and set aside. 2. In another bowl, combine the eggs, pumpkin, sugar, vanilla, and spices.